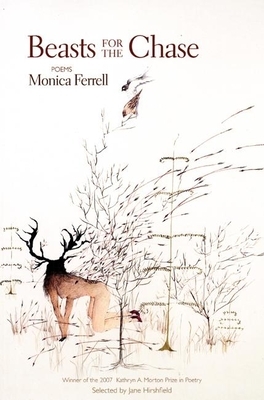 Her poems make vivid what has become dusty, and return us to, as real art does, the brilliance of initial perception.-Jane Hirshfield The mythmaking in these poems is fierce and wildly original-this is a thrilling new poetic voice.-Nick Flynn Monica Ferrell was born in 1975 in India. A former Discovery/The Nation prizewinner and Wallace Stegner Fellow, she currently teaches in the creative writing program at Purchase College. Her first novel, The Answer Is Always Yes, was published by Dial Press in May 2008. She lives in Brooklyn, New York. Born in 1975, Monica Ferrell is a former "Discovery"/The Nation prizewinner and Wallace Stegner Fellow. She is currently a professor at Purchase College. Her poems have appeared in The New York Review of Books, The Paris Review, Tin House, and Boston Review. Her first novel, The Answer Is Always Yes, will be published by Dial Press in 2008.